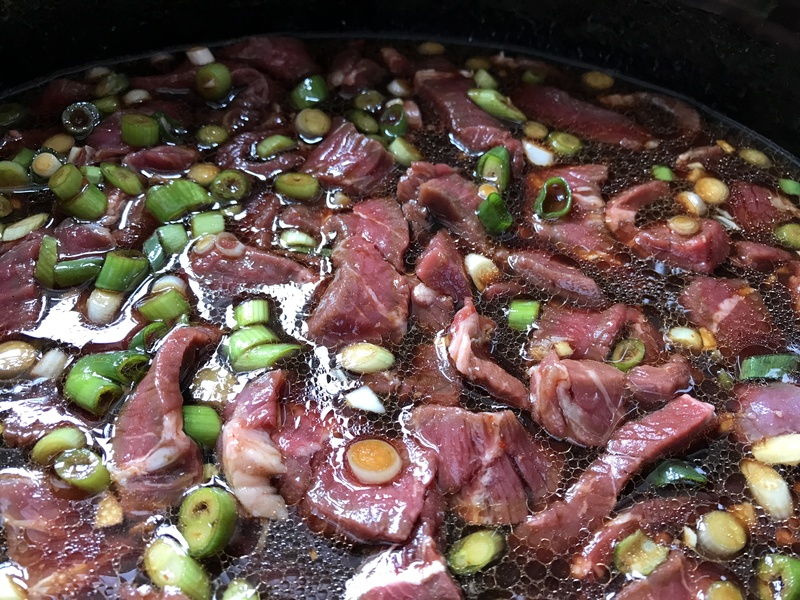 My husband and I love the Korean Beef I make in the slow cooker, but when I spotted my local butcher had an offer on rump steak, I decided to make a very similar dish with this but adding some vegetables for a change. I serve my Korean Beef with rice noodles but decided coconut rice would be the perfect accompaniment for this dish. The rump steak worked well and tasted absolutely delicious. Not quite so fall-apart tender as sirloin but still very tender and succulent. The sauce tasted quite rich, spicy and full of flavour but not too ‘hot’. Slice the steak into thin pieces and place in a slow cooker. Mix together the stock, Tamari, sugar, oil, sriracha, garlic, ginger and onions and pour over the beef, making sure the beef is well coated in the mix. Cook on LOW for about 3 hours or until the beef is tender. Meanwhile, toast the sesame seeds in a dry fry pan until golden. Mix the arrowroot or cornflour with a little of the liquid from the slow cooker and return it to the beef together with the broccoli florets. Mix well together. Cook for a further 20 minutes until the broccoli is just tender. Serve with coconut rice and sprinkle with sesame seeds and sliced spring onions. 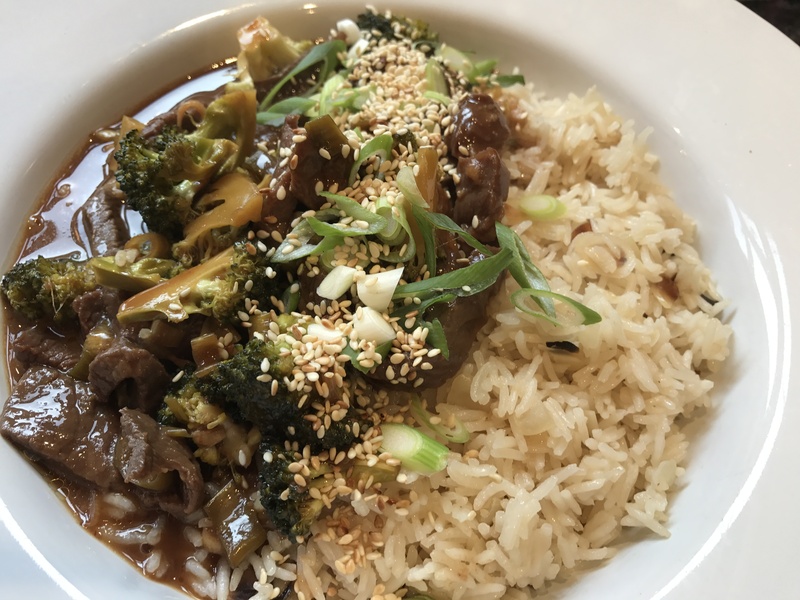 This entry was posted in Dinner and tagged Beef, Broccoli, Coconut Rice, Dinner, Garlic, Ginger, Gluten Free, Healthy Eating, Sesame Seeds, Slow Cooker, Spring Onions, Sriracha, Tamari. Bookmark the permalink. Thank you for the comment. I hope you try the recipe and enjoy it. What is coconut sugar? Can you substitute regular granulated? Hi – Coconut sugar is a sugar produced from the sap of cut flower buds of the coconut palm. I try to avoid refined sugar where possible so use this instead, but I am sure ‘ordinary’ sugar would work just as well – perhaps brown rather than granulated.